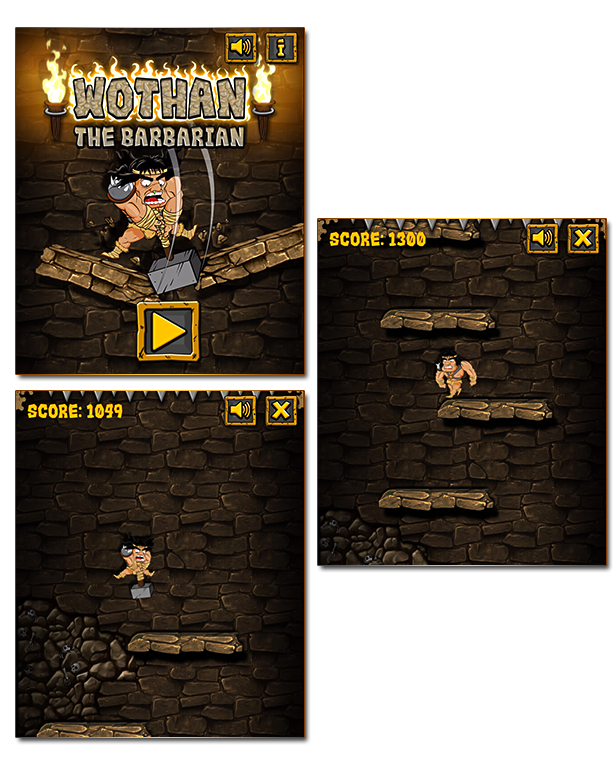 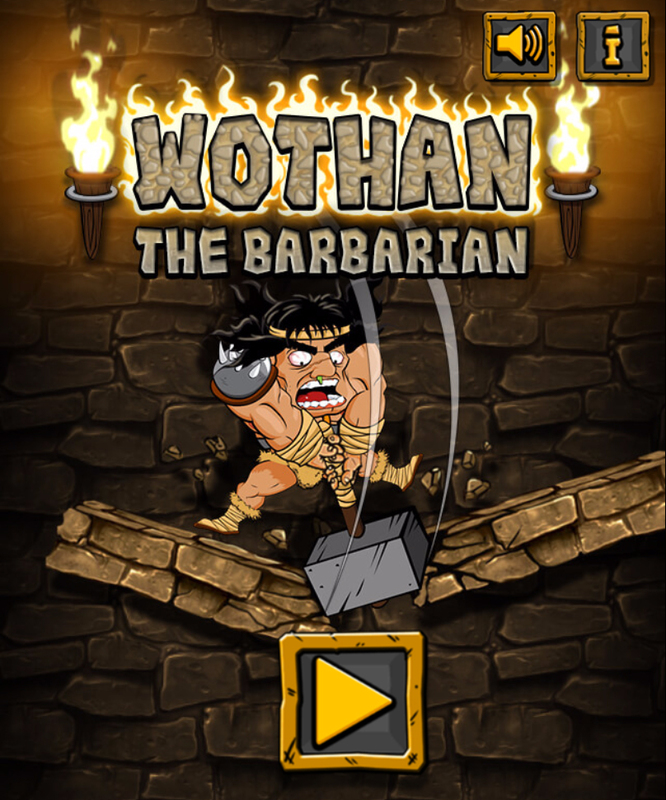 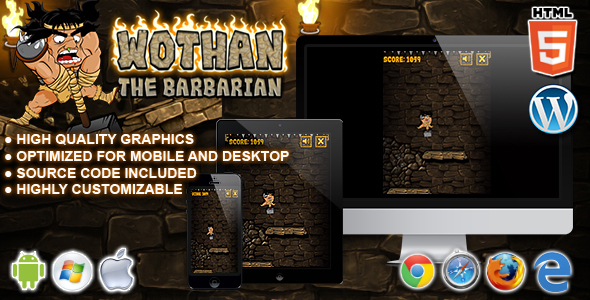 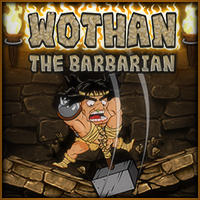 Wothan The Barbarian is a HTML Arcade Game. 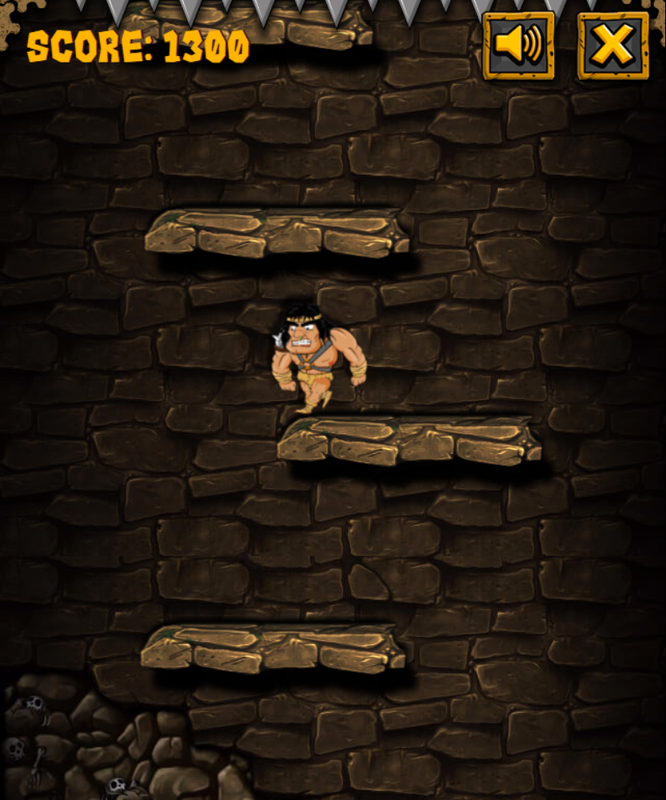 The ZIP package contains the game with 640×960 resolution that scales to fit current screen device. 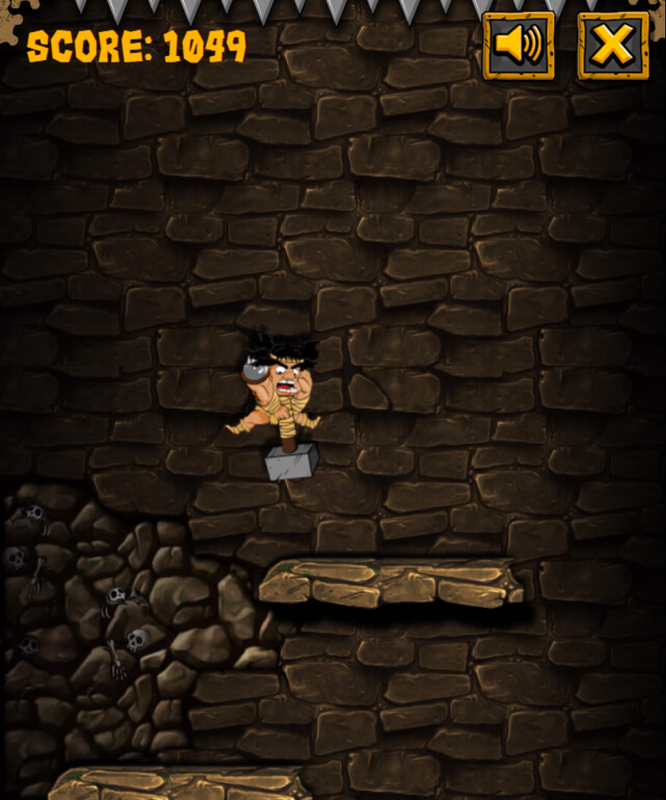 Sounds are enabled for mobile but we can’t ensure full audio compatibility on all mobile devices due to some well-know issues between some mobile-browsers and HTML5.